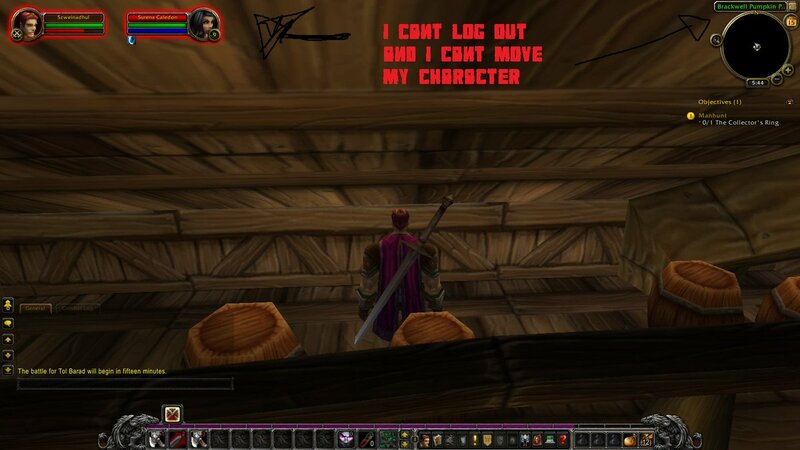 I'm stucked in brackwell pumpkin parch house, mi character is named szweinadhul please, i need a GM HELPME!!!! I have a similar problem, my DK have no quests to move on and can't leave the area. I opened a ticket and a bug report days ago and no answer until now, what can i do? I have the same problem.na dodatek nie mogę usunąć postaci ponieważ mam pocztę. My 82 char is in Deepholm and have no quests to accept, how it's supposed to level? Im joing with your require. My DK stuck in Archeus, when i have to do DK chain quest in Easter Plag. I tried to restart quest The Light of Dawn and insteed back to Lich King I use scourage stone. And now i`m stuck :( anybody help? Hi, my character Mochachosz is stuck and I can't login to do anything. I'm stuck in Dragonblight if anybody can help me or tell me how to fix this please.